It’s been almost exactly year since Trump was inaugurated, and a year since the historic Women’s March. So much has happened in the past 12 months in terms of policies, movements, activism and even elections. Undoubtedly for many of us, the most important word that sums up the political climate during the year was “resist” – a moniker used to motivate us to take action and take a stand against hateful rhetoric being used to demonize people for the sake of votes. It can be exhausting keeping up with every move Congress and the Trump administration makes, and at the same time, taking a break can also generate anxiety of what might happen while we’re not paying attention. But our usual forms of escapism and inspiration can also be a great way to remind us of the importance of resistance. During 2017, we featured a number of exhibits from NYC art gallery Untitled Space, which literally used their space to promote messages about activism, feminism and resistance. 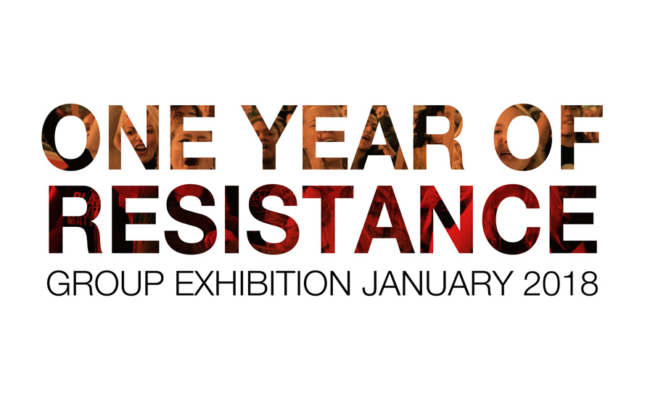 On the anniversary of the inauguration, they are holding a new exhibit called ‘One Year Of Resistance’, which is a group show featuring 80 artists, opening on January 16th, going through February 4. Curated by artist and Untitled Space founder Indira Cesarine, a portion of proceeds from tickets sold will be donated to the American Civil Liberties Union, who have literally been on the front lines fighting against Trump’s Muslim ban, the GOP’s attack on women’s reproductive rights and immigrant rights. The artwork in the exhibit is created by artists of all ages and genders, including Signe Pierce, Parker Day, Rebecca Leveille, Alison Jackson, Ann Lewis, Miss Meatface, Grace Graupe Pillard, Leah Schrager, Michele Pred, Sarah Maple and many others. “ONE YEAR OF RESISTANCE celebrates art as activism, giving voices to contemporary artists from all backgrounds, ages and genders. 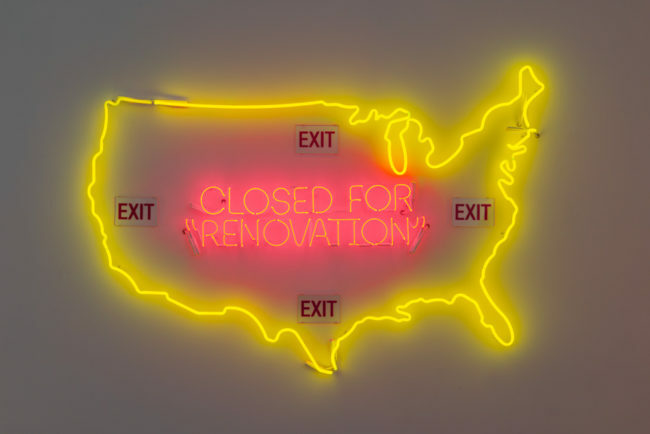 Through works inspired by the controversial policies and practices of our current president, the exhibition sheds light on the challenging issues of contemporary culture in the face of the current presidential political agenda,” says a press statement about the show. They began the year paying homage to the Women’s March with their ‘Uprise/Angry Women’ exhibit, and ended it with ‘One Year Of Resistance’, but the right is far from over. This year, activism is going to be even more crucial as we head into the mid-term elections which will potentially give Democrats a chance to win back a majority of seats in the House of Representatives, and potentially be a firewall against the continual onslaught of harmful bills and ideologies coming from the Trump government and the Republican party. Indira Cesarine spoke about our current political climate and explained why Untitled Space’s new show wants to encourage and remind people why resistance is crucial. “When Donald Trump was initially elected, millions of people hit the streets protesting, from local “Not My President” protests, to millions joining forces for the Women’s March. Despite all the protests he is obviously still in office, and I think that it is important for those that don’t agree with his destructive legislation to continue to voice their opinions and concerns. These are very serious issues that we are being confronted with… the rise of Neo Nazis, his discriminatory policies on immigration, attacks on women’s reproductive rights, on transgender rights, on internet neutrality, on the NEA, EPA, Planned Parenthood… the list just goes on and on and it is incredibly disturbing,” she told us via email. Indira also says that while the resistance movement started the year out strong with a number of major marches (Women’s March, Climate march, Science March etc), she believes it is important to see resistance throughout everyday actions and industries, as major events can’t happen every day. “Over the past year, although many people still strongly oppose his policies, the street protests have thinned. People have had to prioritize their own lives and problems and just can’t feasibly hit the streets protesting every day. I think visual art is a powerful way for people to express how they are feeling about the issues and artists have a way of expressing themselves that other people can relate to. Exhibitions such as ONE YEAR OF RESISTANCE re-motivate people and emphasize continued solidarity. It is important for people to have channels to express themselves and alternatives to street protests. 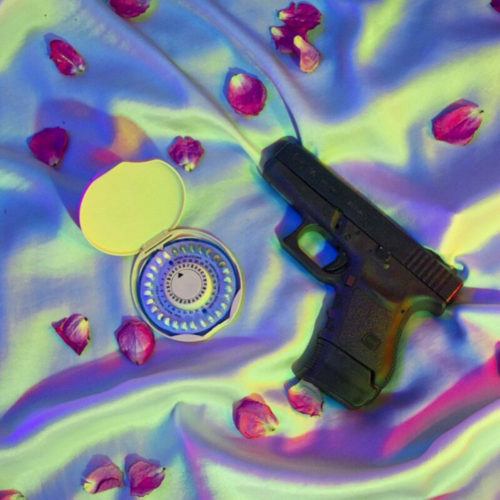 They are many forms of activism, and art can be powerful way to convey a message,” she said. We also wanted to hear her take on why art can be very impactful medium, especially during turbulent political and social times, as it has been throughout history. “In these challenging times, I think visual art has become a very powerful way for people to express themselves and their opinions on the issues. Whether it is protest posters, street murals or contemporary artists creating exhibition pieces, the visuals that are created are highly expressive, and many go viral through social media. It is important for people to be able to connect and engage over mutual concerns and I think art has that ability to bring people together. It’s also a very therapeutic way to channel all the anger that many people are feeling with when it comes to Trump and his legislation. I think we will look back at this era as a very creative period with a lot of dynamic political art that really motivated the populous,” she said. Indira says this show was also a great opportunity to showcase the work of a diverse array of artists and their perspective on the current political climate. To learn more about the ‘One Year Of Resistance’ exhibit, the artists being featured, as well as other works on display at Untitled Space, visit the website and join their mailing list.